I was thinking the other day about which London restaurants would make it in the hothouse that is the New York restaurant scene. To be honest it was a bit of a dispiriting exercise. Although, they don’t always deliver, there’s an excitement and a mission to please over there that we don’t always get over here. This also extends to their menus which, for some reason that I can’t put my finger on, always appear more interesting. 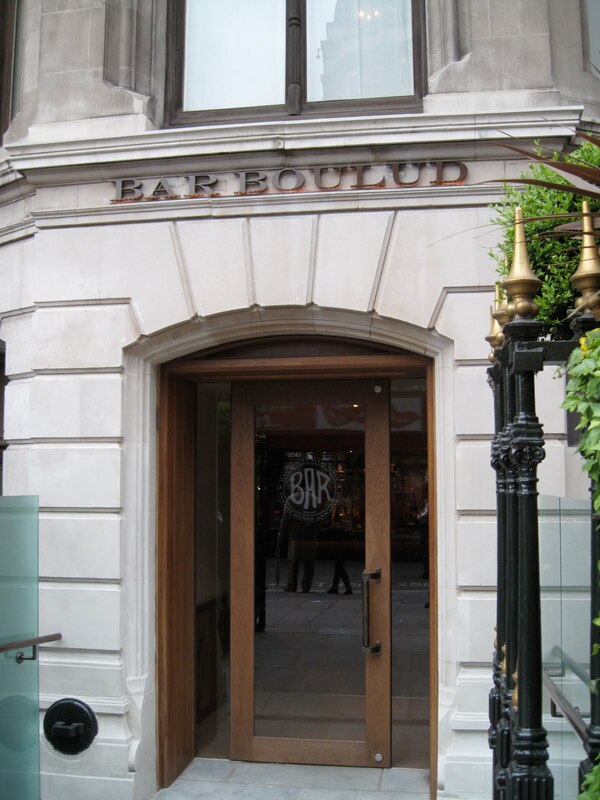 I felt that interest and excitement again when I set eyes on the menu for Bar Boulud, which has recently opened in the Mandarin Oriental. Not really surprising as, save for a burger or three, it’s the spit of the equivalent gaff in New York. Apart from the execrable Palm - of which the less said the better - there aren’t many US restaurants that have made it over here but I guess if anyone was going to bring one over then it would be (successful) serial restaurateur Daniel Boulud who is building a restaurant empire to match other umber-chefs like Alain Ducasse and our own Gordo. Outwardly Bar Boulud doesn’t appear very different to a lot of other places that have recently opened in London: anonymous décor guaranteed not to upset the big hitters staying in the hotel; a big open kitchen with a brigade of chefs beavering away; a phalanx of staff – heavy on the top brass – overseeing everything with very sharp eyes. 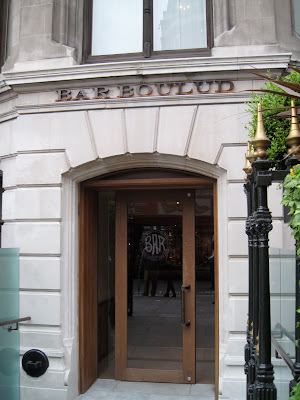 But on this early visit Bar Boulud is a very different beast to the London norm. Offering a mix of French and US dishes it promises much but delivers as well. A starter of Cromesquis de Tête de Veau could possibly have done with a little more draining of excess oil but they were still hot and packed with rich shredded calf’s head. A superior sort of croquette, they were nicely cut, by a rivulet of an excellent sauce gribiche. Event better was to follow. The tasting plate of charcuterie from Parisien Traiteur Gilles Vérot was some of the best I’ve ever had. The cured meats were exemplary: silky slices of Jambon de Paris and nutty Lomo Ibérico, but the pâtés and terrines were even better. Chunky, porky head cheese, Beef Cheek with Pistachio that that tasted of corned beef. Pâté Grand-Mère was Catherine Deneuve: smooth, refined, elegant. Pâté Grand-Père was more Gérard Depardieu: rougher but still rich with nuggets of foie gras. There was a nicely judged celeriac remoulade and a little bowl of baby vegetables à la grecque which disappeared very quickly – the staff soon replaced it with an even bigger bowl. 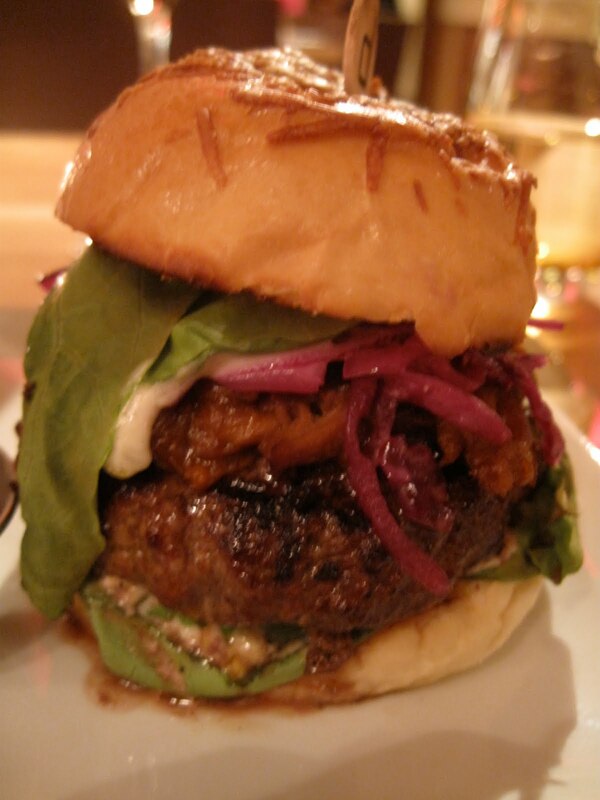 The DBGB Burger, a dish borrowed from Daniel Boulud’s Bowery restaurant of the same name and a nod to CBGB, a seminal punk rock venue located on the same street, was everything I’d hoped for. The burger was good and beefy and cooked perfectly to order – medium rare with a nice crust. I could have done with a bit more of the smokey, moist, BBQ Pulled Pork but that may have killed the taste of the beef. I didn’t notice the advertised Cheddar in the bun but it did its job anyway. All good messy fun. Frites were decent enough although maybe a little more creativity in the chip department wouldn’t have gone amiss. Only minor failing and they were the only thing that stood between me and another burger. A dessert of Grand Marnier Soufflé, although not tasting very much of that liqueur was one of the most ethereally light I’d ever had – each spoonful seemed to evaporate in the mouth. The Ice Cream I’d ordered alongside wasn’t so impressive – the texture too smooth and the flavours not assertive enough, but it might be a work in progress. The attention to detail evident in the food extended to some mighty fine coffee – an Italian blend – which was rich and dark. 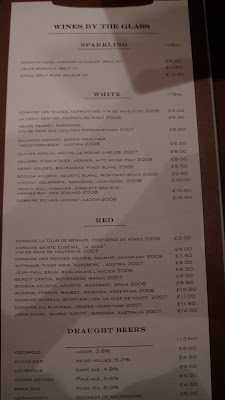 All this comes at prices that, given the location (Knightsbridge) are very reasonable. Service was pretty good too for a new opening although some of the senior staff transplanted from the US were a little stiff to begin with. Their demeanour seemed to improve immeasurably after they saw Daniel Boulud shaking my hand and having a long conversation with me during his stroll around the dining room. As if to confirm this a (previously unavailable) copy of the menu suddenly became very available. 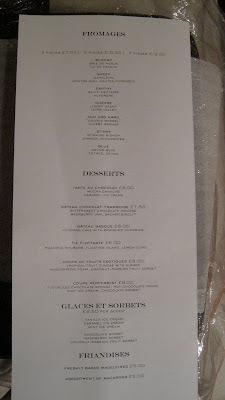 Anyway, M. Boulud will be around for a couple of weeks so if you’re going to visit now would be the time to do so. I’m keeping my fingers crossed that once he returns to the States high standards will be maintained. If they are and Heston Blumental’s restaurant - opening in the same building later on in the year – is any good then this might be some sort of tipping point for London restaurants. About time too. That burger looks like a bad guy in a Dr Who show! Is that platter for one, or for two to share? the charcuterie plate is pretty damn impressive.. you are a true athlete. i've no idea how you put that kind of meal away. i think i am entirely alone when i say this, but a burger like that fills me with a kind of dread. too messy, too sloppy. before you know it, the remnants of it are across your fingers and chin. 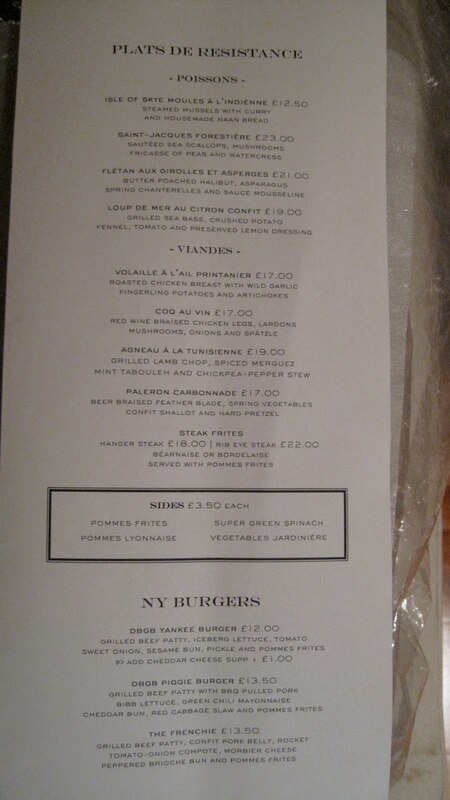 Very encouraging review if this is a good as NYC then hopefully it will raise the bar in London if you pardon the pun. Excellent news. 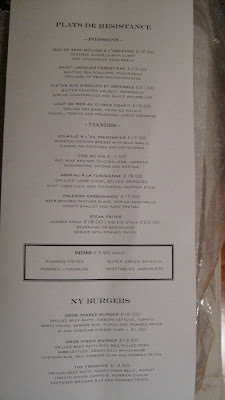 I'm heading there on Friday in a desperate attempt for a hit of New York, and had my eye on the burger, so glad to see your positive comments. 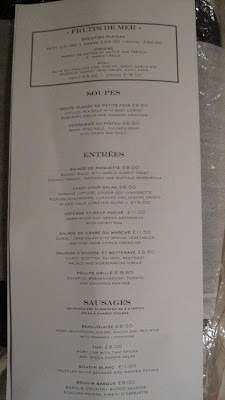 You've got to hand it to Mr Boulud. He's fluffed anyone with a camera and now the reviews are rolling in. I don't think anyone has worked the whole British restaurant community like DB. Bloggers, critics and fellow chefs are dropping their keks and bending over. All credit to him cos many have failed here. 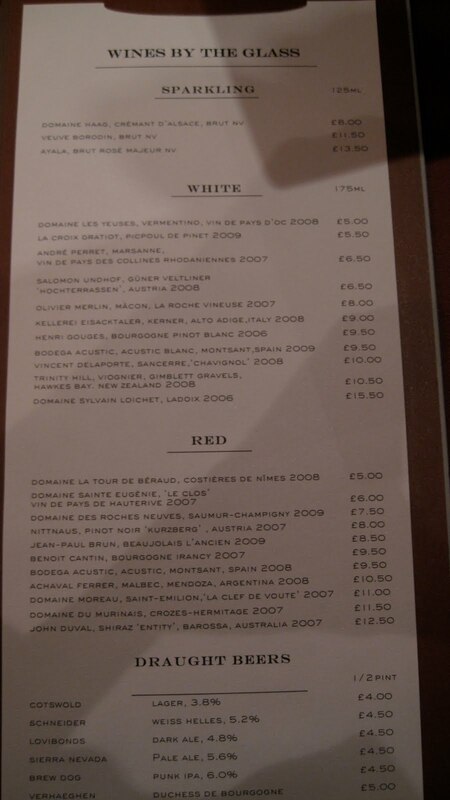 While lunch for 3 of us was good, it was £180 for a good plate of charcuterie, 3 good but small burgers[half the size of hawksmoor and goodman], a cheap bottle of wine and not much else. It's £4.50 for a half pint! That's £9 a pint! Imagine telling that to people in Rotherham. Yes damn that Daniel Boulud for giving the punters what they want. It's just not British is it?